So here’s a sneak peak of some comic book covers for the ‘Futurboy and The Angels of Destiny’ series we have in the pipeline. Above is the cover for issue #1 and below is issue #3! 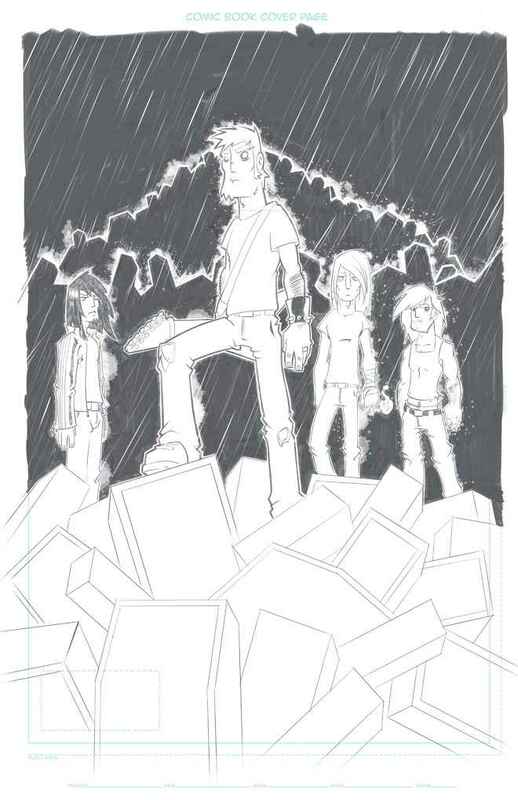 And finally the cover pencils for Shred, our upcoming short to be published as part of 8th Wonder Press’ 2013 Anthology!